Apple has reportedly purchased Turi, a small Seattle-based startup specializing in machine learning and artificial intelligence technology for a purchase price of around $200 million. Citing a source familiar with the matter, GeekWire revealed the Turi acquisition on Friday. A detailed purchase timeline was not provided, and it is unclear if Turi can be counted among the 15 smaller firms Apple bought in 2015. Previously known as Dato and GraphLab, Turi brought a number of products to market designed to assist developers in creating machine learning and artificial intelligence solutions capable of automatically scaling to fit greater needs. 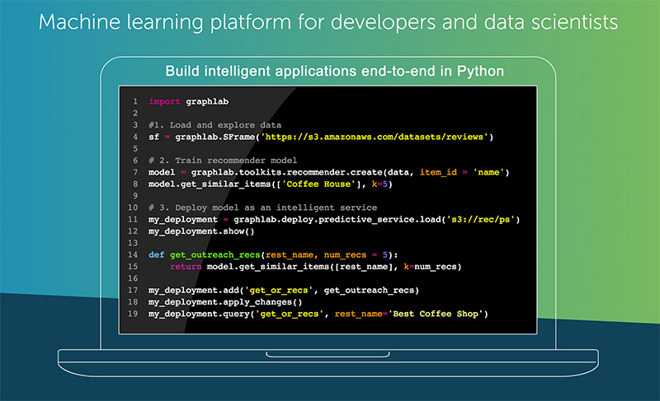 Prior to Apple's acquisition, Turi marketed GraphLab Create, Turi Machine Learning Platform, Turi Distributed and Turi Predictive Services, software that can be used to create recommendation engines, sentiment analysis, churn predictors, clickthrough predictors, fraud detection systems and more. For Apple, these technologies would be valuable additions to the Siri virtual assistant, as well as the company's online storefronts like Apple Music and the various App Stores. Apple offered its usual boilerplate response when asked about the acquisition, all but confirming the buy. While details remain unknown, GeekWire reports the Turi team intends to remain in Seattle as Apple grows its influence in the region. In 2014, Apple purchased Seattle-based stealth cloud startup Union Bay, later announcing plans to open an engineering office in the area. A few months later the company further expanding into Microsoft's home turf by leasing two floors in a nearby office tower. The Turi acquisition is just the latest indication of Apple's interest in machine learning and artificial intelligence technologies. Last October, Apple bought machine learning startup Perceptio and natural language processing firm VocalIQ to bolster in-house projects including Siri and certain facets of iOS, MacOS, tvOS and CarPlay.